When you hear a plaintive, high-pitched call, it’s probably an anxious lone quail searching for its flock. 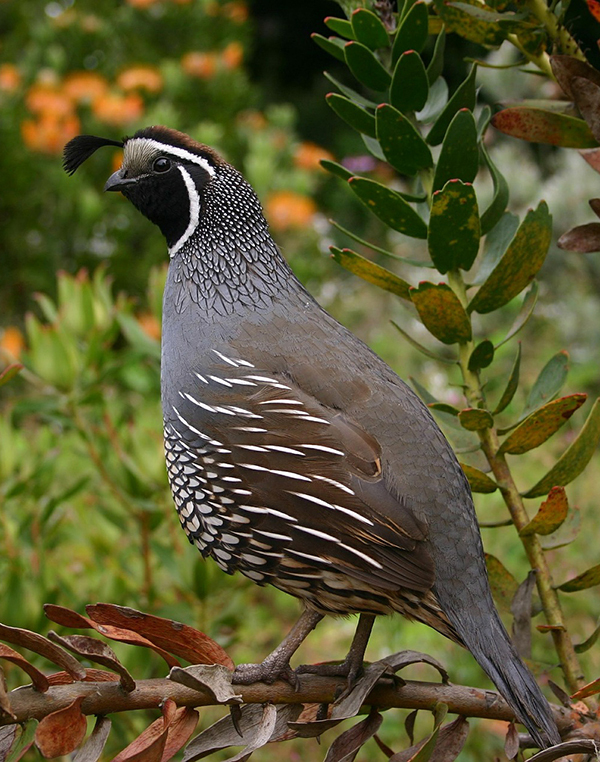 Callipepla californica, the California Quail, is a social animal who lives in coveys ranging from 10 to 200 birds (depending on the time of year). As long as they have enough cover, food, and space this animal can live successfully among humans. Each bird requires at least one acre of land to support it – this land needs to be continuous since they prefer running to flying. Often quail can often be observed scratching the ground like chickens in their quest for food. While the flock is feeding, the male leader perches in a high spot, keeping watch. The male makes different calls, informing covey about what is going on. An adaptation that quail have for living in dry environments is that they can get adequate moisture from insects and succulents. In sustained periods of drought, however, they do need a water source. 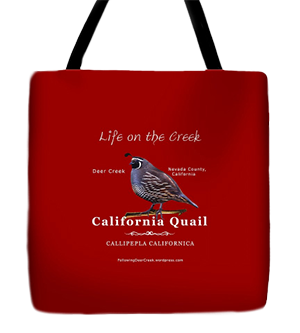 Quail remain in their habitats year-round, staying within 10 miles of where they were hatched. Quail have protozoans in their intestines that help digest plant materials. (Chicks get the protozoans by pecking adult feces). 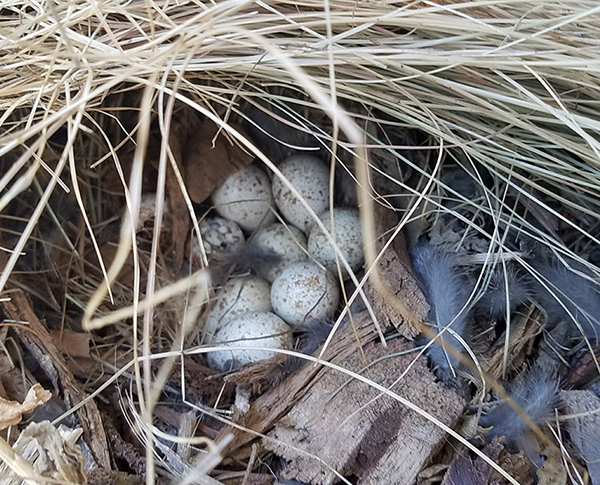 When it is time to nest, the female lays between 12 to 16 brown speckled eggs – perfectly camouflaged for their environment. Especially large broods (as many as 28 chicks!) occur when a female does egg-dumping, laying her eggs in an already occupied nest. Females sit on eggs for about three weeks. Both males and females take turns caring for the chicks once they are hatched. UC Santa Barbara Science Line – Why to males have a little thing on top of their head?